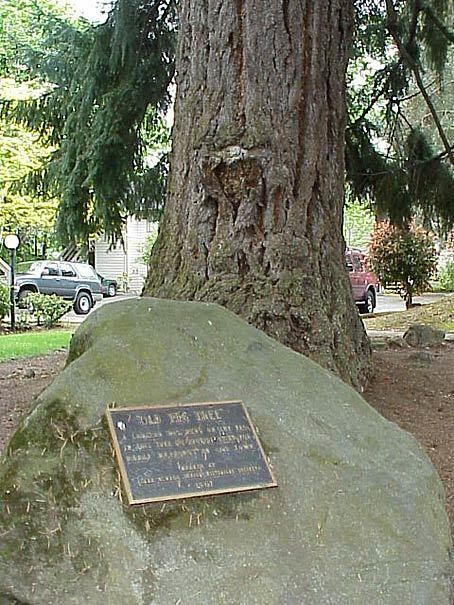 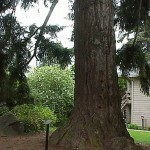 Early settlers in the “old town” area of Lake Oswego used this giant Douglas-fir as their lantern post by hanging a lantern on a peg driven into the side of the tree to conduct town meetings. 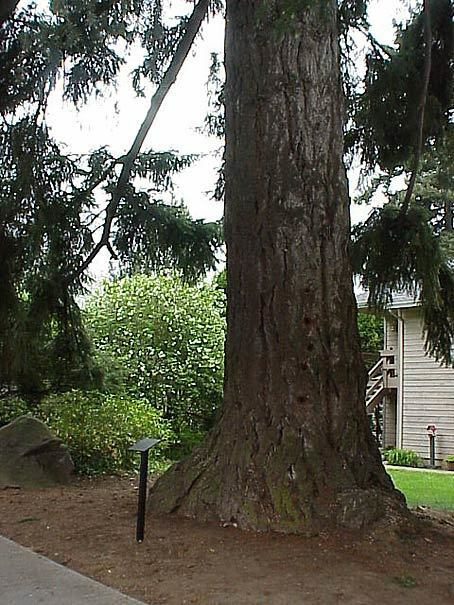 In 1852, Oswego’s first Sunday school classes were held under the Peg Tree until a proper building could be built. 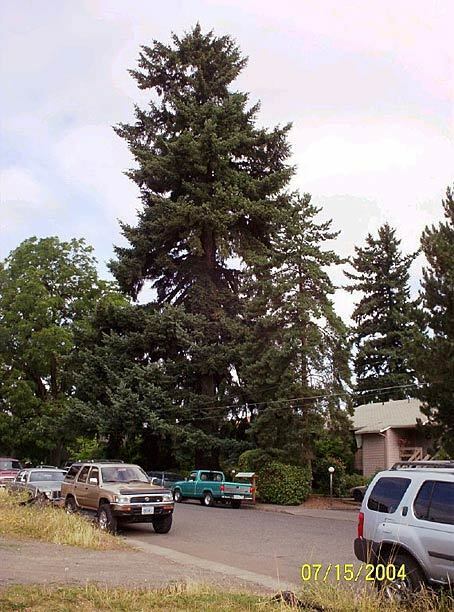 Today it is the lone survivor of what was once a great row of firs which lined the road leading to the furnace of the iron smelter at the end of Furnace Street. 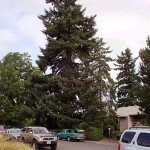 Most of those trees were cut down under orders from the road supervisor, but the Peg Tree was spared. 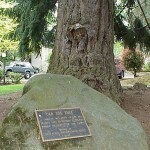 The tree is located at 141 Leonard Street in Lake Oswego.